The Combilift Straddle Carrier, designed to offer a very cost effective solution for haulage, distribution and shipping operations even with relatively low throughput levels. This 35t capacity vehicle offers complete independence for the transportation of containers and similarly oversized loads around a site. 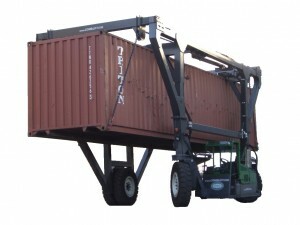 It can lift fully loaded containers from the ground onto the trailer, from trailer to trailer and from trailer to ground.